Rebuilding Together – Bismarck/Mandan is excited to announce that we were recently awarded a $15,000 grant from Wells Fargo! The funding is made available through the Wells Fargo Housing Foundation’s Team Member Volunteer program, which provides support to nonprofit organizations when Wells Fargo team members help build, renovate, repair or paint a home for low-income homeowners. 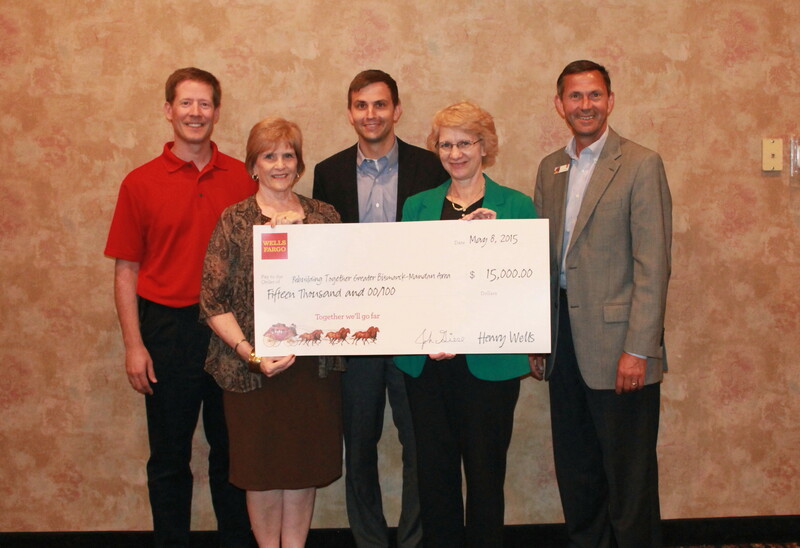 We are very grateful for the financial and volunteer support we have received from our friends at Wells Fargo! Pictured below left to right: Rebuilding Together Vice President, Kirby Evanger employed at BND, Rebuilding Together Volunteer, Peggy Shireley employed at IPAT, Rebuilding Together President, Mark Giese employed at Wells Fargo, Rebuilding Together Volunteer, Denise Arntson employed at American Bank Center, & Wells Fargo Bismarck-Mandan President, John Giese. Thank you to all our house captains and volunteers for your dedicated service to our community! Because of you, four homes in our Bismarck and Mandan communities were repaired this year! 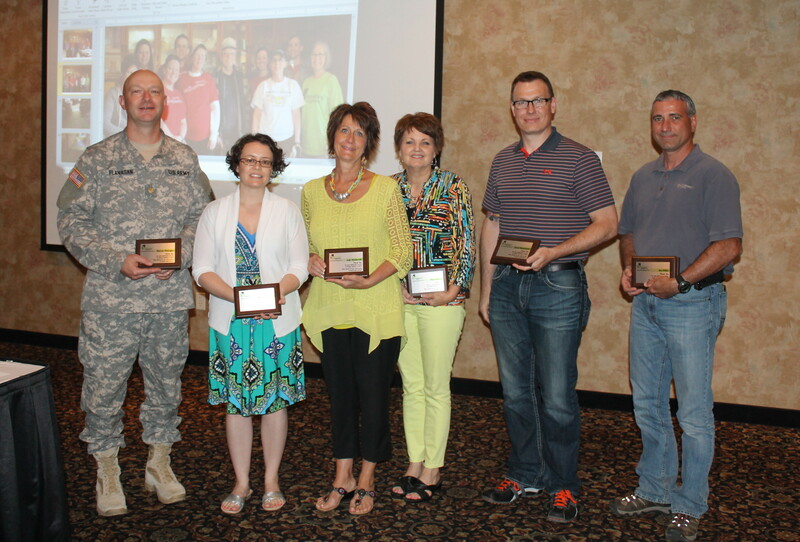 Pictured left to right: Patrick Flanagan, Brooke Steffes, Judy Maslowski, Pam Hanson, Chad Reisenauer, and Jim Miller. On April 28th and May 5th, volunteers helped 6 homeowners stay in their homes by making needed improvements that support a warm, safe and dry environment. A huge THANK YOU to each and every person and business that supported the Rebuilding Day Event. Without you, this is not possible. If you’d like to get involved, contact us to volunteer, make a donation of materials and services or a monetary donation. Rebuilding Together Greater Bismarck/Mandan Honorary Chairpersons Senator John and Mikey Hoeven. 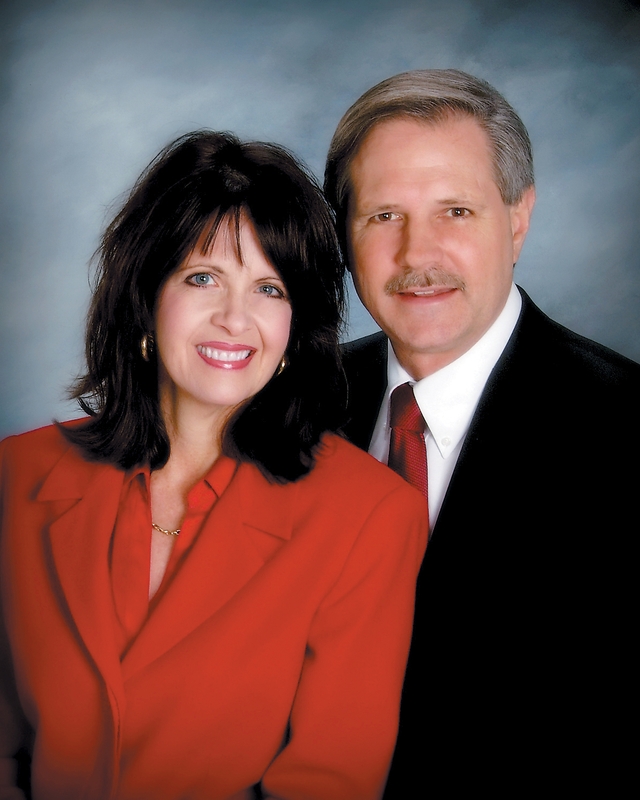 Senator John and Mikey Hoeven have been named honorary chairs of Rebuilding Together for the greater Bismarck-Mandan area since 2012. Rebuilding Together is a local nonprofit organization working to revitalize communities by providing home repair services for the elderly, low-income, and disabled. Serving the Bismarck-Mandan community for 15 years, Rebuilding Together offers assistance to people who own their homes, but due to physical limitations or economic hardship, are unable to properly maintain their home. Rebuilding Together works in partnership with local corporations and volunteers to provide free rehabilitation and critical repair services. Since its inception in 1997, Rebuilding Together has raised over $600,000 in in-kind contributions and gifts, and provided free rehabilitation and repairs to 133 homes in the Bismarck-Mandan area. Over 5,000 volunteers have donated their time and skills to replace floors and carpeting, repair plumbing, replace unsafe electrical wiring, install handicap accessible devices, paint homes, and repair windows. Rebuilding Together is always seeking applications. Click on “contact us” to request an application.